Five reasons water is so important for your health. Photo: Getty Images. 1. Water boots energy. Water delivers important nutrients to all of our cells, especially muscle cells, postponing muscle fatigue. 2. Water helps weight loss. Water helps you feel full longer, without adding any additional calories. Drinking water or eating foods with a high water content can be a big help in managing your weight. 3. Water aids in digestion. Water aids in constipation and other abdominal issues, especially those suffering from IBS. Water helps to move the digestive process along and through the system. 4. Water detoxifies. Moves toxins through your system faster, and optimizes kidney function. Inadequate hydration means inadequate kidney function. 5. Water hydrates skin. Forget expensive creams and cure-alls, water is the best defense against aging and wrinkles in the skin. The guideline recommended amount is eight glasses per day, though this varies from person to person. 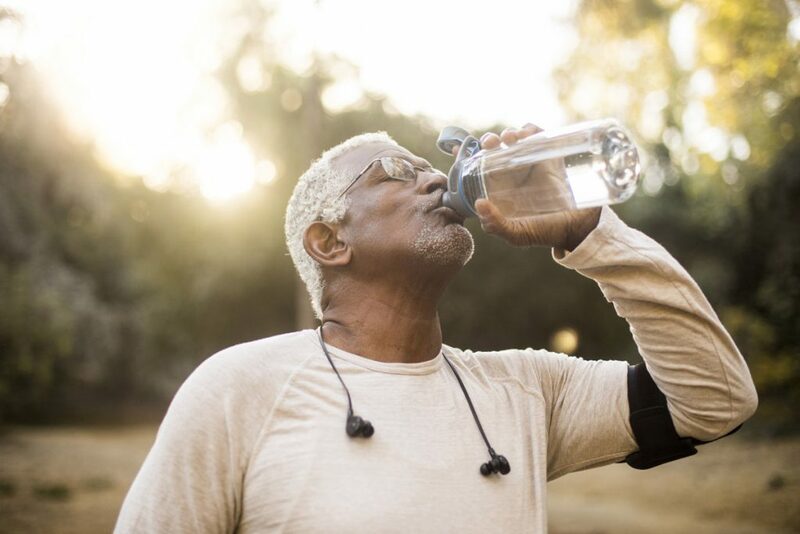 Those who exercise regularly, work outside, or have chronic medical conditions should consume more water to compensate for more water loss. Remember, water is your friend, and proper hydration is a key to good health.